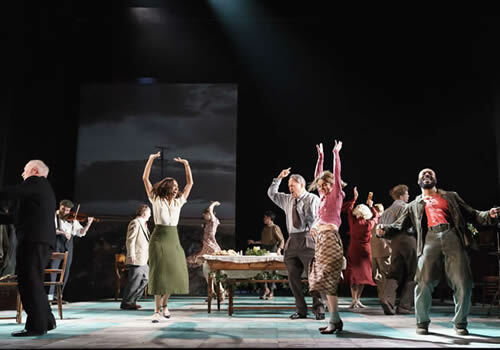 After a critically acclaimed world premiere at the Old Vic Theatre, Conor McPherson’s new musical Girl from the North Country transfers to the West End’s Noel Coward Theatre for a strictly limited season. Featuring classic songs from the back catalogue of legendary musician Bob Dylan, Girl from the North Country plays at the London venue until March 2018. 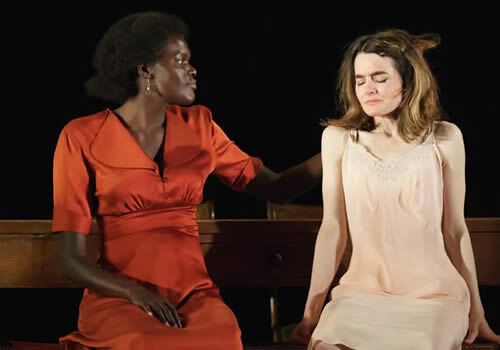 Casting includes multi-award nominated Sheila Atim as Marianne Laine, Bronagh Gallagher as Mrs Burke, David Ganly as Mr Burke, Shirley Henderson as Elizabeth Laine, Ciaran Hinds as Nick Laine, Adam James as Dr Walker, Karl Johnson as Mr Perry, Claudia Jolly as Katherine Draper, Arinzé Kene as Joe Scott, Debbie Kurup as Mrs Neilsen, Finbar Lynch as Reverend Marlowe, Sam Reid as Gene Laine and Jack Shalloo as Elias Burke. Ensemble includes Hannah Azuonye, Ross Dawes, Mary Doherty and Emmanuel Kojo. 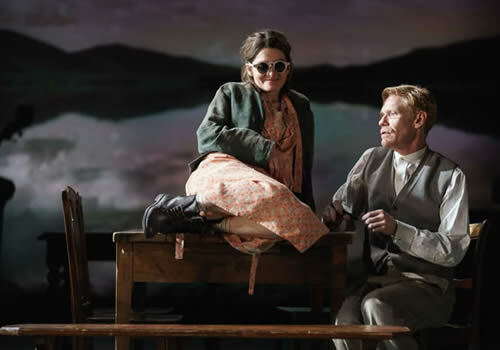 Written and directed by esteemed playwright Conor McPherson (The Weir), the musical gained permission from folk icon Bob Dylan to stage his songs, with a sensational score featuring hits including “I Want You”, “Like a Rolling Stone” and “Forever Young”. Creative team includes designer Rae Smith, lighting designer Mark Henderson and sound designer Simon Baker. 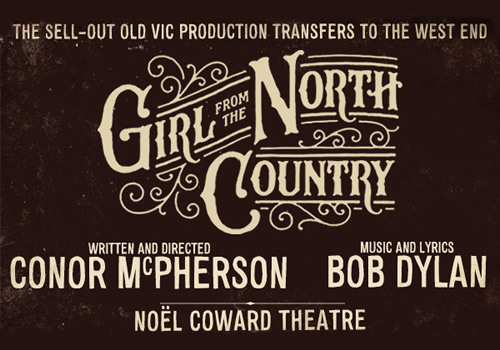 Making a highly anticipated transfer to the West End, Girl from the North Country plays at the Noel Coward Theatre from December 29th 2017 until March 24th 2018, with an official opening on January 11th 2018. 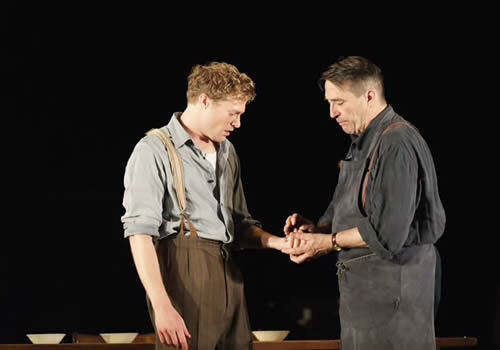 Girl from the North Country contains strong language and adult themes and is therefore recommended for ages 13 and up.